You are in the right place! You may feel that you have tried everything that you know, and nothing really seems to work or have a lasting effect. But things can and do change! Deciding to come to therapy is the first step to feeling better. 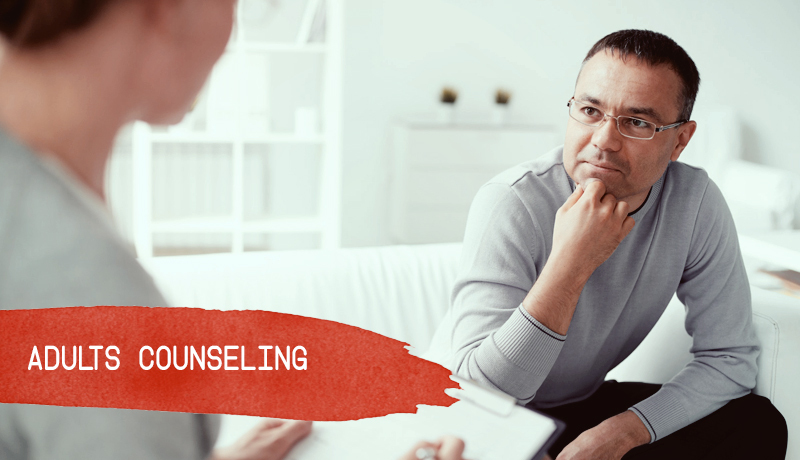 Sometimes the most difficult part is making that first phone contact with a therapist. A common misconception is that asking for help is a sign of weakness, or one must be crazy in order to go to therapy, or that one should be able to deal with their own problems, or friends and family should be enough support. Nothing can be more wrong! As recognising and asking for help is a sign of strength and hope...it is a sign that you know you want more and deserve to live life at its fullest! So, these misconceptions are almost as anarchical as the belief our ancestors had that the earth is flat...as it is only when you explore within, you learn more about yourself ...it is sometimes only through the pain that you discover what its means to truly live and be the best version of you! A 'crisis' can be point for change and an opportunity for growth! My approach while creating a therapeutic intervention will require your active involvement. The approach itself is eclectic, as we will use the psychoanalytical model to helps us understand patterns from the past and the meaning one assigns to childhood experiences, we will then connect the dots to see how this relates to the 'here and now'. We will then use Cognitive Behavioural Therapy (CBT) techniques along with a strength-based and client-centred approach to help identify the self-defeating behaviours and irrational thoughts that sometimes hold us back, while also building on your strengths and available resources and moving your sense of validation to more internal sources. We sometimes will use worksheets to capture our thoughts, learning's and goals, so, I recommend that you keep a dairy handy or use a word doc to pen these down. In short, through individual counselling you will gain clarity of what's happening to you, why you are feeling that way, identify what you need to alter thought and behaviour patterns and practice new and practical strategies for change and growth. If I feel that pharmacotherapy would also help [as an adjunct] I will discuss this you and refer you to a psychiatrist for medication management. Our sessions will however still continue. So, if you're looking for solutions and support through this challenging situation or you're just ready to move in a new direction in your life, I look forward to working with you to achieve your goals. Please call me at (+91) 9582800790, or email me at Aparna@lifeskillsexperts.com. We can discuss the options that might best work for you and agree on a course of action.